Flex your STEM muscle in one of our many Engineering and Robotic organizations. MSOE provides students a wide variety range of organizations to showcase classroom skills in real world applications and competitions. Many of MSOE’s STEM Organizations win national and international awards in their fields. The purpose of this organization is to give students the opportunity to learn about Information Technology through guest speakers and the real life computer security simulations hosted by CCDC and its affiliates. The team will focus on how to secure computer networks, react to security breaches and concerns, and writing business reports. The organization will also give students the opportunity to network with both their fellow students and guests from the industry. The purpose of this organization is to foster innovation through an environment that fosters strategic thinking, creative solutions, and the pursuit of personal growth. 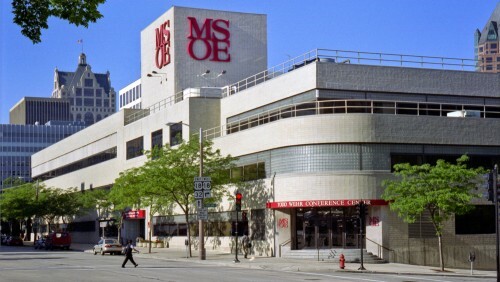 The organization will allow members of MSOE to interact with students of other majors and interests, and allow people to showcase their passions in a collaborative environment. The organization is foremost a FIRST support organization. FIRST (For Inspiration and Recognition of Science and Technology) is a program founded by inventor Dean Kamen in 1989 to inspire young people’s interest and participation in science and technology. MSOE’s FIRST Collegiate Robotics Organization works to support the various robotics programs established by FIRST by mentoring teams of younger students in our area. The organization’s robotics team, SCOE Robotics, participates in the Collegiate Aerial Robotics (CAR) Challenge. Over the course of the build season, in preparation for the competition, the team builds one aerial robot and one ground robot. FCRO works to combine principles of FIRST programs into a college-level robotics team that will support other FIRST programs, inspire students of all ages, and serve to extend the reach of FIRST to emerging engineers and scientists in a way that existing college level programs cannot, through Competition and Gracious Professionalism. A club primarily focused on preparing actuarial science students for the required actuarial science exams and beyond. As a club we focus on finding study opportunities, career opportunities, and internship opportunities. The purpose of this organization is to supply students with the opportunity to design, fabricate, build, program, and test a mining robot that can compete at the Kennedy Space Center in Florida. The underwater robotics team will build a fully-functional Remotely Operated Vehicle (ROV) that will compete in an international underwater competition sponsored by MATE. In addition to building the ROV, a 20 page technical report describing all functions of the ROV, along with a 15 minute spoken engineering presentation that will be given at the competition are judged and scored. The Baja Club Team is an organization dedicated to designing, building, testing, and competing with a compliant vehicle for SAE Mini Baja competition(s). Members will gain hands on experience, learn to work effectively in teams, and reap the rewards of building something with their own hands that will positively represent both themselves and MSOE alike. Formula Hybrid is one of many design projects that Society of Automotive Engineers (SAE) has to offer. It is often regarded as the most challenging and complex of the collegiate design series. The goal of the team is to build a 1/2 scale prototype hybrid race car to compete in a series of dynamic and static events. The team has had a legacy of success within the past few years including winning the international competition in 2017 and has been the highest ranked team among the US consecutively since 2015. Formula Hybrid is a cross-discipline organization that is open to any student regardless of major. Members include ME's, EE's, IE's, SE's, CE's, BE's, and business students. The SuperMileage Team is a SAE Design Competition team that participates in two competitions in the U.S., the Shell Eco-Marathon and the SAE SuperMileage Competition. The team is composed of freshmen-junior level students of all majors. The goal of the design competitions is to build the most fuel efficient vehicle while maintaining good engineering practices. The project allows students the opportunity to design, test, and build prior to their senior design projects allowing for a great learning experience. Leadership opportunities are available to all grade levels with many freshmen and sophomores taking on their own design projects with mentoring from others on the team.